Well ladies and gents, today is a very special day. This afternoon I'm starting my new job (part-time) which I'm both excited and nervous about as I'm sure is normal. I am looking forward to having a bit of extra money to spend though! However, not only am I starting a new job, this blog post is my 100th post! I can't believe it, I've sat down and written about nails 100 times. 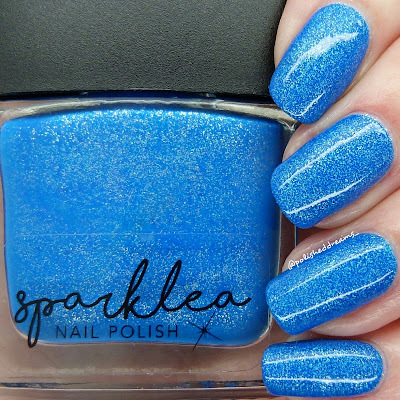 In celebration of this milestone, I wanted something exciting to share so I settled on the newest collection from my bff Lea, the creator of Sparklea Nail Polish. 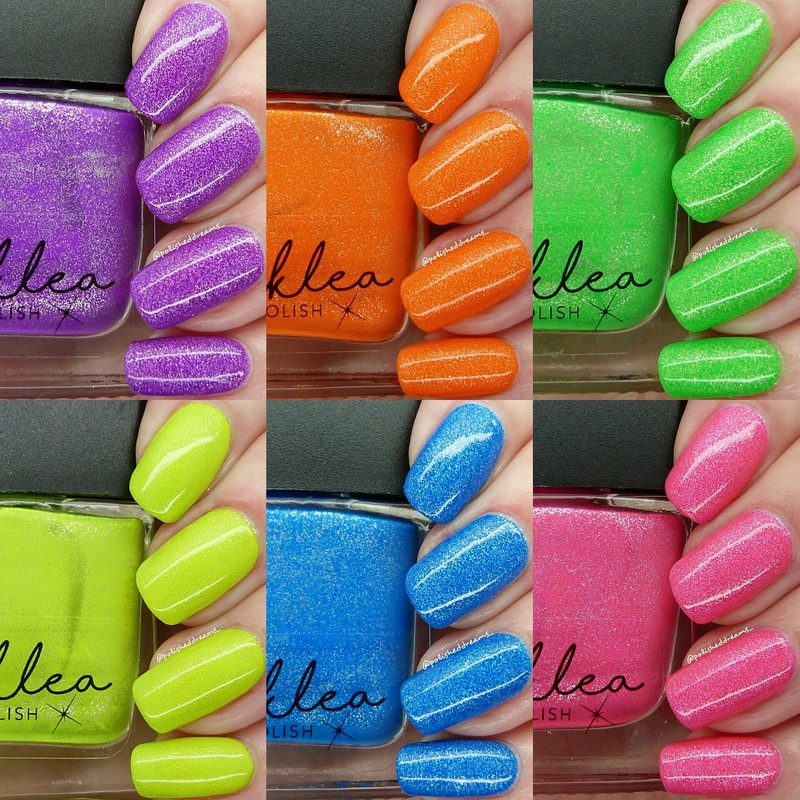 The Carnival Collection is a six piece set of beautiful neon polishes with a metallic finish. Perfect for my first post in June really as it's now officially summer! As soon as Lea shared photos of these, I knew I HAD to have them. They were just so different to all the other neons on offer. I'll say right now, none of these polishes needed a white base underneath. They are all this neon on their own! I'll try to keep the rambling to a minimum because there are a lottt of photos to get through. 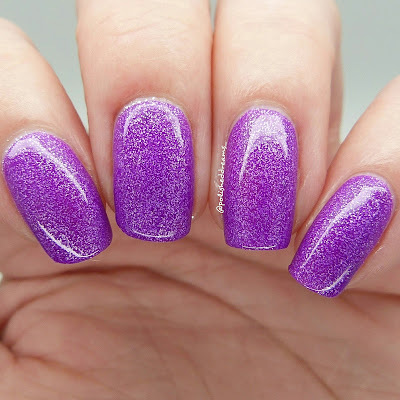 First up we have Ferris Wheel, a beautiful bright purple. I wouldn't actually go on a ferris wheel because I'm not a fan of rides but I am definitely a fan of this! 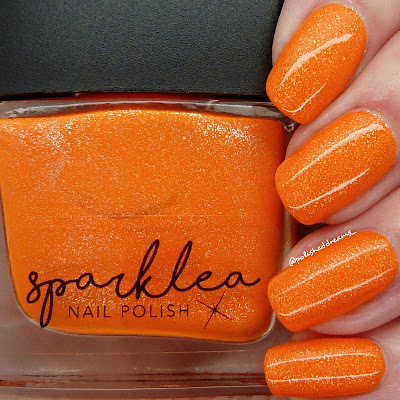 The formula of these polishes is absolute perfection, seriously. They're so easy to apply and if you actually concentrate and do it properly, you could paint your nails and require literally no clean up. Shown here is two coats with topcoat. This shockingly bright orange is Corn Dog and I definitely need to wear this more because it makes me look so tanned compared to normal. That's always good when the majority of the time you look like a walking milk bottle! Again another great formula, it really does just glide on like butter. Swatch shows two coats and topcoat. The next little beauty is Ghost Train, something else I've never actually been on myself. 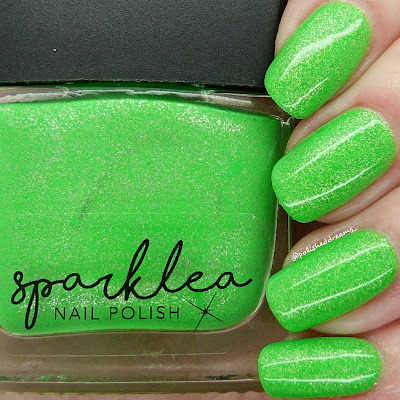 This might not be a shade I wear very often by itself but we all know that all the neons are great for nail art! Shown here is two coats with topcoat. 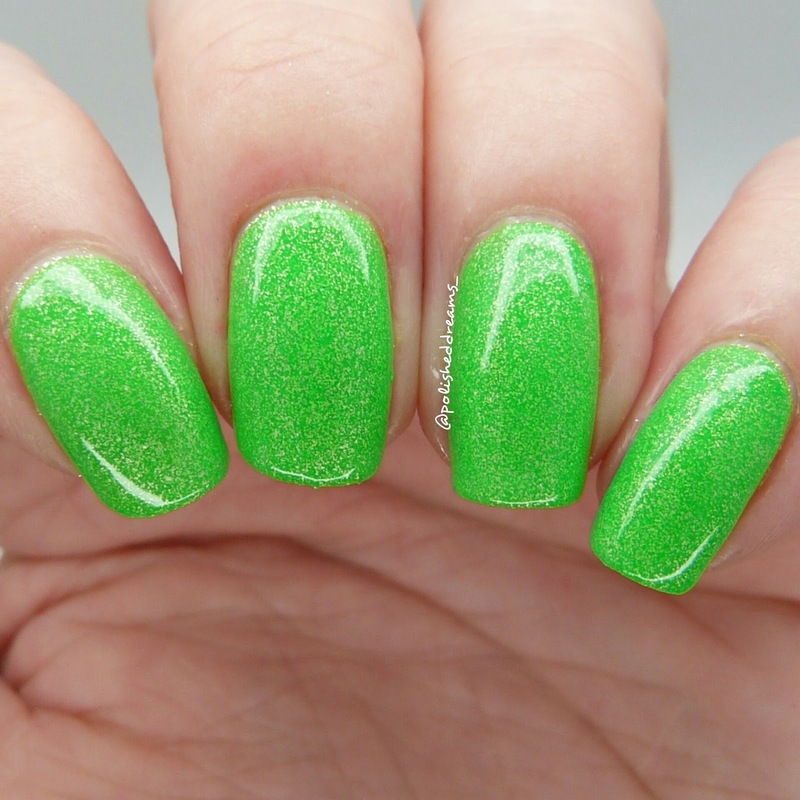 The next polish is Hook a Duck which as you can probably tell from the name is a fab neon yellow. This is another one I won't be wearing on it's own but is definitely necessary for nail art. All those gradients would be lost without it! I wasn't sure how well the metallic part would come through but actually it's better than expected. It's obviously not as prominent as the others but as its primary use will be for nail art, it really isn't an issue. Apparently when swatching this one, my tiredness caught up with me and I completely forgot to take any macro shots... I'll add it in when I can haha, sorry about that! Pictured here is two coats and topcoat. The fifth polish in the collection is Escapologist, an absolutely gorgeous bright blue. The blue neons have always been one of my favourites and this is definitely no exception. My mum wore this for an 80's party the other week and kept commenting on how nice it was! Shown here is two coats with topcoat. Last but not least is this stunning neon pink named Candy Floss. I'm glad I got over my slight pink aversion so I can really appreciate this properly. Totally doing a pink and purple gradient! As with the others there was absolutely no issues formula and application wise. Shown here is two coats with topcoat. 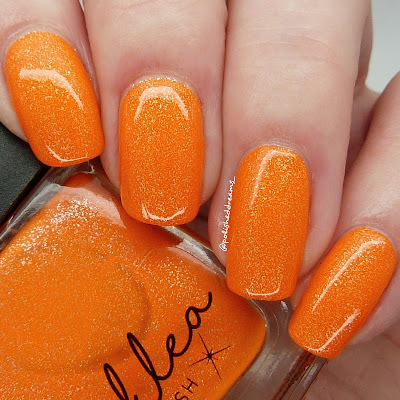 As usual, Lea has absolutely not let us down with these polishes. 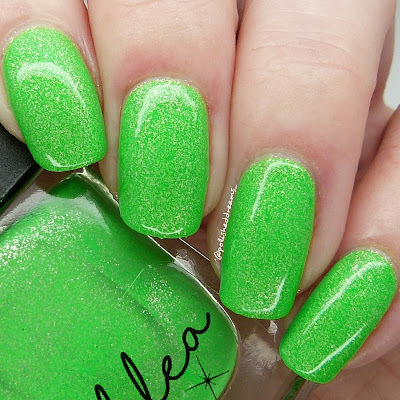 I can't even begin to explain how much I love the metallic finish (which I've told Lea numerous times already) and now that I've finally tried them and discovered the formula is amazing, I am in neon heaven. I have a lot of review stuff to get through in the next couple of weeks but expect to see lots of neon mani's appearing! I actually did one last night which you can see here. The sad news for you guys is that there is currently only one of the neons in stock in the shop but a restock will be happening soon along with the launch of a special collection that I am collaborating on so keep your eyes peeled! You can still have a browse of the Sparklea shop by clicking here as there are plenty of other fab polishes available! To keep updated about Sparklea in general I'd also definitely recommend following the shops Instagram. So glad you love this collection! I am loving your swatches and love the finish too. They're so amazing! I really am going to get my review up soon too, I want to get using these!